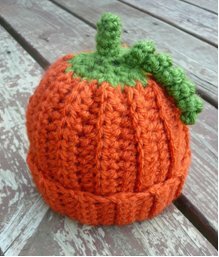 *Both cotton and acrylic yarn will work well for this project. Row 2 – 23: hdc in BL of each st across, ch 2, turn. Row 24: hdc in BL of each st across, ch 1, turn. Joining both ends, sl st down entire length of hat through both sides, fasten off and weave in ends. Using green yarn, join with sc at top of hat near back seam. sc evenly around (about 24 sc), do not join. When you arrive back at your 1st sc, begin sc2tog continuously around, until 4-5 stitches remain. Now, sc in each st around for about 6 rounds so that you create a 1-1 ½” stem. Fasten off, tuck tail inside hat, and weave in ends. Work 2 sc in 2nd ch from hook and in each ST to end. Fasten off. Using starting and ending tails, tie the vine between any 2 stitches on stem. See photo for suggested placement. What a better way to start the football season by supporting your team with your very own handmade crochet team-oriented afghan. 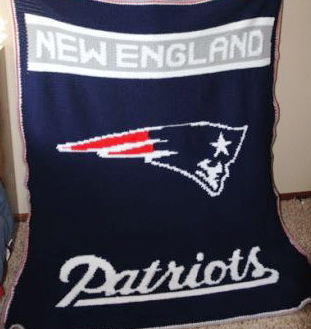 Cheer your favorite team on with friends and family while snuggling up to a personalized and unique afghan!